Two of the biggest telecom companies, Verizon Communications Inc. (NYSE: VZ) and AT&T Inc. (NYSE: T), are scheduled to report earnings this week. VZ is first up, slated for before market open on Tuesday, Oct. 23 and then T reports before the open Wednesday, Oct. 24. It’s been an eventful year for telecom. T’s acquisition of Time Warner closed in June, the long anticipated merger of T-Mobile US Inc. (NASDAQ: TMUS) and Sprint Corp. (NYSE: S) was finally announced, although it’s still pending regulatory approval, and the industry continues to work on deploying 5G technology, the next generation of wireless connectivity standards. 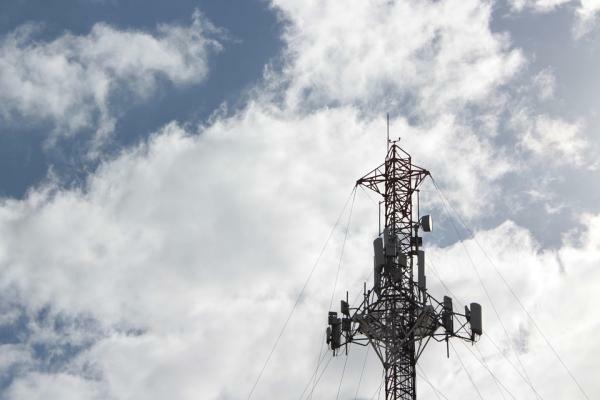 As VZ and T run limited 5G trials and prepare to launch networks in the future, there’s still a lot of uncertainty and plenty of hype regarding the significantly faster new wireless standard. Either way, it’ll take some time for investors to get a better idea of pricing amid competition, costs to build and maintain, and so on. Between some of the mega-mergers and acquisitions, as well as progress on 5G, there’s plenty for management to discuss on earnings calls. VZ is expected to report adjusted EPS of $1.19 on revenue of $32.51 billion, according to third-party consensus analyst expectations. In the same quarter last year, VZ reported adjusted EPS of $0.98 on revenue of $31.72 billion. The impact of tax reform is a big driver of the expected earnings growth for the quarter. Once you get out to 2019, analysts are widely expecting EPS growth in the low-single digits for the foreseeable future. Outside of its acquisition of Yahoo a few years back, which was still relatively small, VZ hasn’t gone after major media and entertainment acquisitions. As such, investors have been largely focused on the company’s wireless and wireline results. When the company last reported, it added 531,000 retail postpaid phone accounts, while analyst consensus is for that to come in just under 550,000 when the company reports tomorrow. Overall, analysts are expecting wireless revenue to come in at $22.7 billion. Analysts are widely expecting mixed results in the company’s wireline business. Total FiOS TV subscribers are expected to decline slightly, while FiOS Internet is expected to exhibit modest growth. In other news, VZ has continued to take steps to shave expenses. The company recently reported they have offered voluntary severance to 44,000 employees, which would add costs in the short-term, but save money over the longer run per management’s plan. Bouncing Back. After hitting a 2018 low of $46.09 in early May, VZ has steadily risen since then and is up back into positive territory for the year, up 2.56 percent year to date. 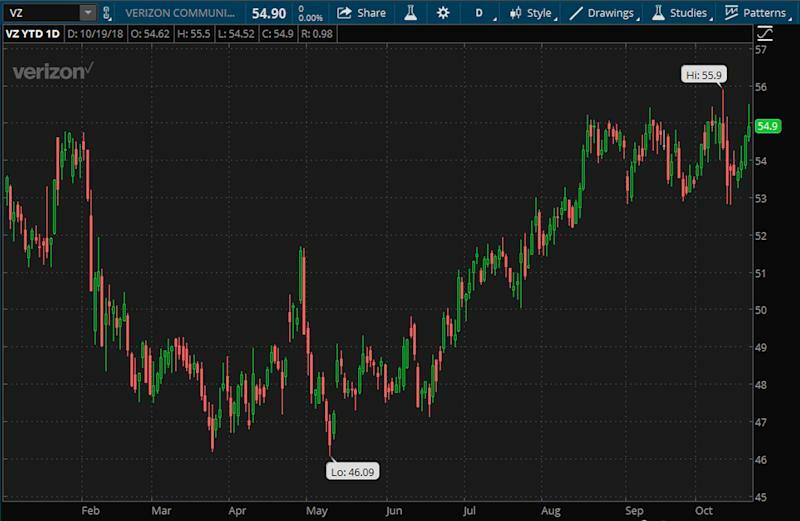 Since mid-August, the stock has been trading in a narrower range between $53 and $56. Chart source: thinkorswim® by TD Ameritrade. Not a recommendation. For illustrative purposes only. Past performance does not guarantee future results. 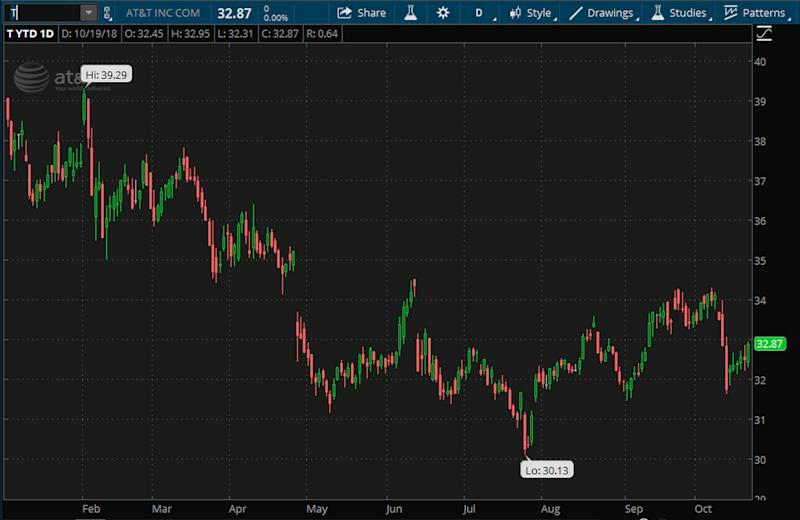 Around VZ’s earnings release, options traders have priced in a 2.6 percent stock price move in either direction, according to the Market Maker Move indicator on the thinkorswim® platform. Implied volatility was close to the middle of the road, at the 53rd percentile as of this morning. In short-term options trading at the Oct. 26 weekly expiration, calls have been active at the 55 and 56 strike prices, while activity on the put side has been concentrated at the 54 and 55 strikes. At the Nov. 2 expiration next week, the 55-strike call had volume of 10,331 contracts during Friday’s session, much higher than any other strike price at that expiration. This was also new positioning as open interest was only 5,891 contracts at the time. At the Nov. 16 monthly expiration, recent volume has been heavier on the call side, mostly concentrated at the 55-strike call, with a decent amount of activity at the 57.5 strike as well. For puts, most of the recent trading has been at the 52.5 and the 55 strikes, right around the money. Note: Call options represent the right, but not the obligation, to buy the underlying security at a predetermined price over a set period of time. Put options represent the right, but not the obligation to sell the underlying security at a predetermined price over a set period of time. For Q3, T is expected to report adjusted EPS of $0.94, up from $0.74 in the prior-year quarter, on revenue of $45.65 billion, according to third-party consensus analyst estimates. Revenue is projected to increase 14.8 percent year over year. This will be the first full quarter since the Time Warner Acquisition closed, so investors are likely to be looking for more information about how everything is progressing so far. But a mega-merger like that is naturally going to take some time. The company also just announced it would acquire AppNexus, a programmatic advertising company. Outside of this year’s acquisitions, focus will fall on the company’s core business. When T last reported, it had 3.8 million net wireless subscriber additions, 3.1 million in the U.S., primarily connected devices and prepaid phones, and 756,000 adds in Mexico. Postpaid phone net additions remained subdued last quarter, with 46,000 in the U.S.
DirecTV Now had 342,000 net adds and management said that its total video customer base had stabilized. The company also added AT&T WatchTV last quarter, so that’s another area that investors will likely be looking for more info on how well the new services is doing. Tough 2018. T trended down at the start of the year and since May the stock has mostly been bouncing around between $31 and $34. So far this year, shares are down 14.71 percent, lagging the S&P 500 (SPX) by a wide margin. Chart source: thinkorswim® by TD Ameritrade. Not a recommendation. For illustrative purposes only. Past performance does not guarantee future results. Options traders have priced in a 3.3 percent stock price move in either direction around the T’s earnings report, according to the Market Maker Move indicator. And implied volatility was at the 57th percentile as of this morning. In short-term options trading at the Oct. 26 weekly expiration, calls have been active at the 33.5 and 34 strike prices, whereas activity on the put side has been heavier at the 33 strike, pretty much right at the money. Further out at the Nov. 16 monthly expiration, calls have been active at the 34 and 35 strike prices, with a decent amount of activity at the 33 strike as well. Recent trading on the put side has been spread out across a range of strikes, with the bulk of the action between the 32 strike and the 34 strike. Boeing Co. (NYSE: BA) reports before market open on Wednesday, Oct. 24. Microsoft Corporation (NASDAQ: MSFT), Ford Motor Company (NYSE: F), and Advanced Micro Devices, Inc. (NASDAQ: AMD) all report after market close on Wednesday, Oct. 24. Twitter Inc. (NYSE: TWTR) reports before the open on Thursday, Oct. 25, while Snap Inc. (NYSE: SNAP), Amazon.com, Inc. (NASDAQ: AMZN) and Alphabet Inc. (NASDAQ: GOOG) (NASDAQ: GOOGL) all report after the close the same day. For an overview of what else is going on across markets, make sure to check out today’s Market Update.